You can volunteer at an animal shelter near you. Here’s how. If you’ve been wondering what you can do at your local animal shelter that will help the animals, then you’ve come to the right place. There are lots of things that you can do to contribute. Here’s just a few to get you started. Many people donate their gently used pet care items like cages and crates to their local animal shelter. They in turn clean and repair these items, and then sell them in their lobby to new pet owners. This raises much-needed funds for the shelter and helps new pet owners to get the necessities their pet requires. If you have a knack for simple repairs and don’t mind some soapy water and rubber gloves, then this volunteer position is for you. Yes this role is exactly as it sounds. You’ll be providing much-needed exercise and socialization opportunities for the adoptable cats and kittens. One-on-one time with volunteers helps the feline residents feel safe and comfortable, therefore enhancing their adoptability. So yes you can tell your Mom that you’re cuddling kittens at the local shelter and you’ll be telling the truth. 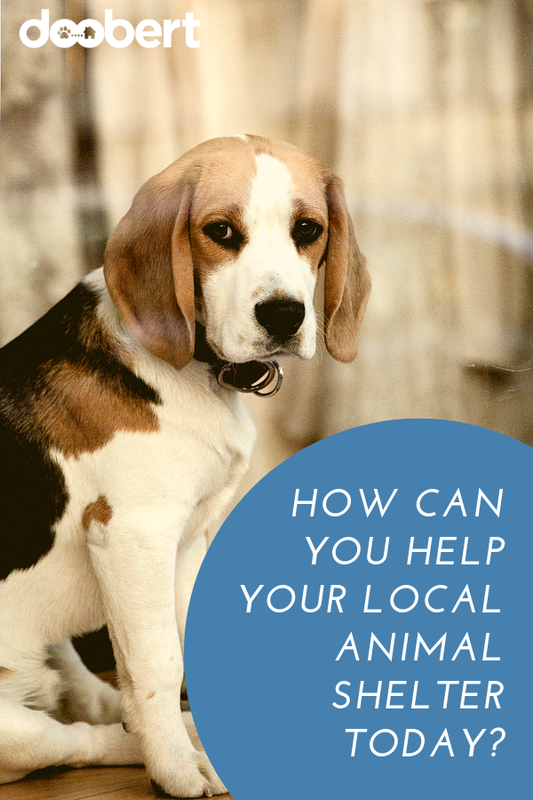 Of course, you know that animal rescue transport is needed locally and on longer distances so it shouldn’t come as a surprise that animal shelters are always looking for volunteers to drive animals where they need to go. All you need is reliable transportation and a clean driving record. Sign-up on Doobert.com and we’ll connect you with thousands of organizations looking for help. Being an animal foster caregiver is a unique and life-changing experience. You can be the bridge to a forever home for animals that require socialization, minor medical care, or simply time to grow! Most local animal shelters are seeking Foster Caregiver volunteers for all species and usually they provide all of the vet care and supplies needed so there’s nothing out of pocket. 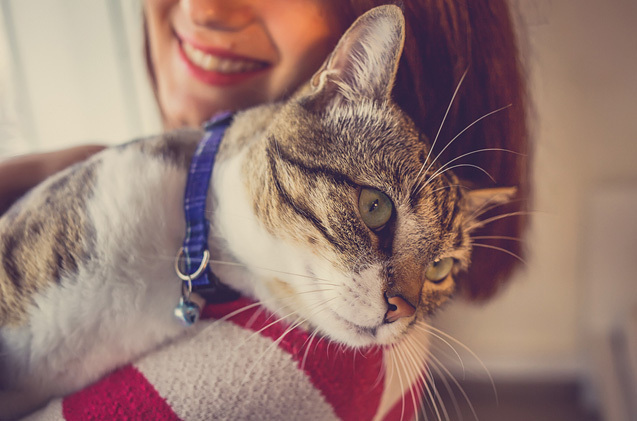 Maybe you’re concerned that fostering means forever so we’re here to tell you that the average commitment requirements vary from 2 – 8 weeks depending on the animal. But your local shelter will be glad to work with you and your schedule to make sure there’s a fit. Just like you and I like our domicile clean, animals are much the same way. 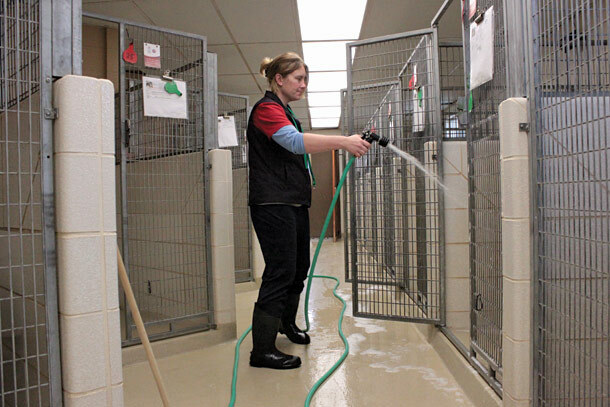 Thankfully, most shelters have a kennel support team to help them keep things spick and span. You can be a part of keeping the animals enclosures clean, watered and healthy for the animals. But did you also know that there’s a huge need for assisting with pet dishes, pet laundry, litter box sanitizing, and doing things to help enrich the lives of the animals like prepping Kongs with food and peanut butter? When you join the kennel support team you’re a valuable member of the volunteer team! Just like Wal-Mart has a person to greet you when you walk in the store, animal shelters want a bright, smiling face there to greet potential customers and adopters when they arrive. You might have thought that your local animal shelter was just one physical place. 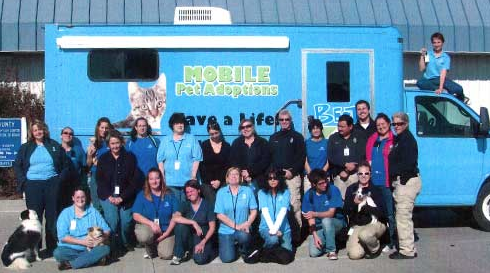 But we’re here to tell you that shelters often have mobile adoption vehicles and they need volunteers to man them. Mobile Adoption Centers visit businesses, festivals and events in the area throughout the year. They set up inside and outside of stores, malls, parks…wherever pet people may be! Volunteers assist with set-up, take-down and promoting the shelter and their adoptable pets at each event. How cool is it that you can help out your local animal shelter in so many ways? So get off the couch and get involved. You’ll be glad you did! Love this! Three Cheers for Doobert. !! !